Here’s how we over-complicated our homepage demo for a very long time for my company, Friendbuy -- and how we eventually quadrupled the number of visitors who interacted with our product by simplifying the call-to-action. First, a little background on the company. 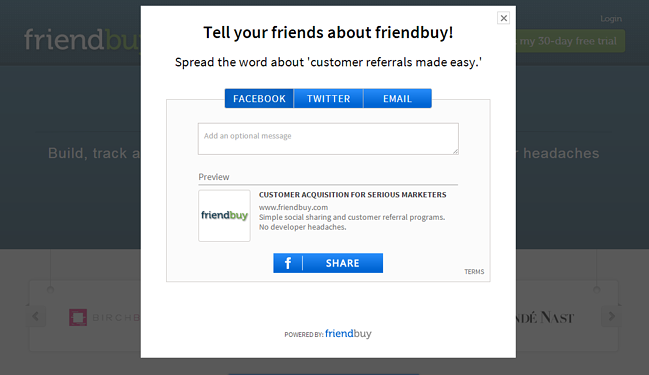 Friendbuy enables marketers to create referral programs and drive customer acquisition. With Friendbuy, you can quickly deploy referral widgets anywhere, measure success, and optimize. For example, a marketer can place a banner on the homepage, which activates a referral widget as an overlay (to see a premier example of this execution, check out the homepage for www.NatureBox.com). All a visitor had to do was click the banner to experience our product firsthand ... but what we found was very few did. Specifically, only 1.44% of visitors clicked. Now, a 1% CTR for any run-of-the-mill banner is actually not too bad. In this case, though, it was for a product demo, and presumably, the homepage visitor came to the page precisely to learn about Friendbuy products. Further, the placement of our banner -- above the fold and in proximity to client logos -- should've yielded a higher clickthrough rate. 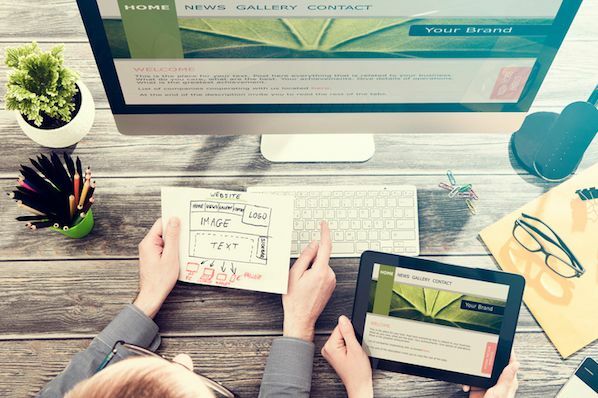 We knew we needed to make a change to the CTA, and so, we decided to conduct an A/B test and find a way to improve our CTR. 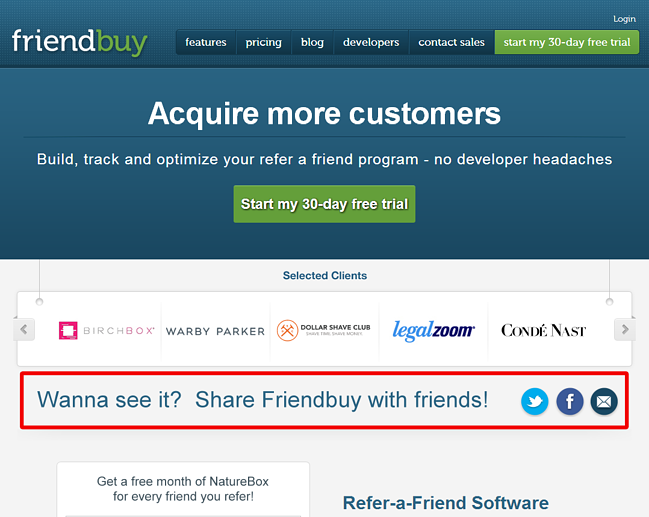 Goal: Get more visitors to demo Friendbuy’s referral widget. Hypothesis: The call-to-action is complicated and indirect. Approach: We replaced the original banner with a 50/50 rotation of two new versions, focused entirely on testing calls-to-action and foregoing aesthetic concerns. Original CTA was vague, complicated, and reduced engagement. Variant 1 provided clear direction, as it guided visitors to take action by clicking. Variant 2 provided clear direction and included the word ‘demo,’ which is a well-defined term and tacitly understood by everyone. By meeting visitor expectations, Variant 2 outperformed all other calls-to-action in this test. So there you have it -- a very simple test that immediately increased the effectiveness of our call-to-action. 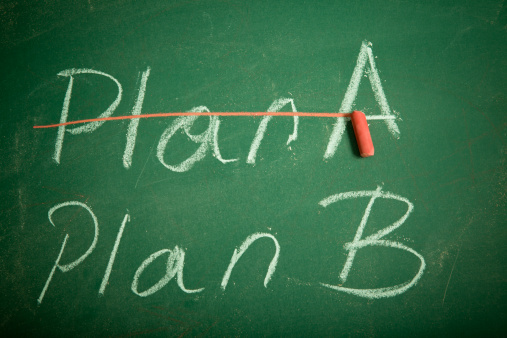 To learn more about constructing an amazing call-to-action, check out this in-depth post. Tony Mariotti is Vice President at Friendbuy, the marketing platform that makes it really easy to launch a customer referral program. A/B test and optimize your refer-a-friend program without developer headaches. To learn more about the latest strategies for customer acquisition, you can follow Friendbuy on Twitter.